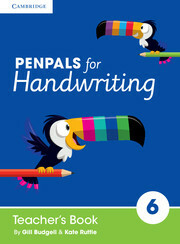 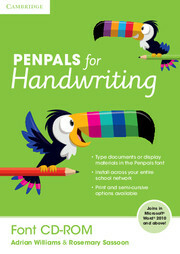 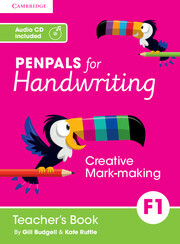 The Year 3 Penpals for Handwriting Teacher’s Book provides clear step-by-step instructions on how to teach each unit including: An outline of the unit’s key learning whole-class teaching support linked to Penpals Interactive links to the use of the corresponding Practice Books and workbooks with suggestions for both group work and independent work. suggestions for extra practice and home practice. Guidance on common errors and what to do about them. 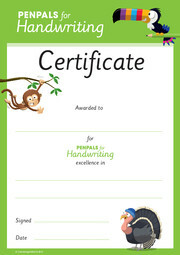 You'll also find a full scope and sequence for the whole scheme showing progression of skills and links to English National Curriculum requirements, a beginning of year assessment to help you track pupil progress and photocopy masters for extra handwriting practice and homework. The Year 3 Teacher's Book provides teachers with clear guidance on how to consolidate the joins learnt in Year 2 and assist children to master more complicated joins. At this stage, children build on joining through a word with an understanding of break letters. They are taught and practise some trickier joins e.g. joining from s, from r, and to and from f. The emphasis is on legibility, consistency (e.g. 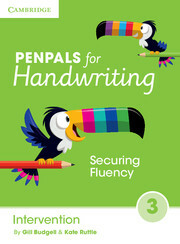 parallel ascenders and descenders) and fluency, both in discrete handwriting lessons and in their independent writing.